The June issue of Monthly Bushiroad magazine contained a detail that flew beneath the notice of most readers: Oracle Think Tank's first trigger units of the Standard Format were shown in the magazine's demonstration of the new Amaterasu support. 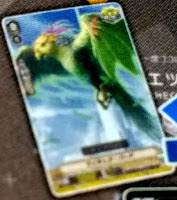 Although they're scaled down to be very small for the demonstration, close-ups reveal the returning Psychic Bird and Miracle Kid will be reprising their roles as Critical and Draw Triggers for the clan. While Psychic was an effect trigger in the previous game, in Standard the only trigger units with effects are Draw Trigger perfect guards. 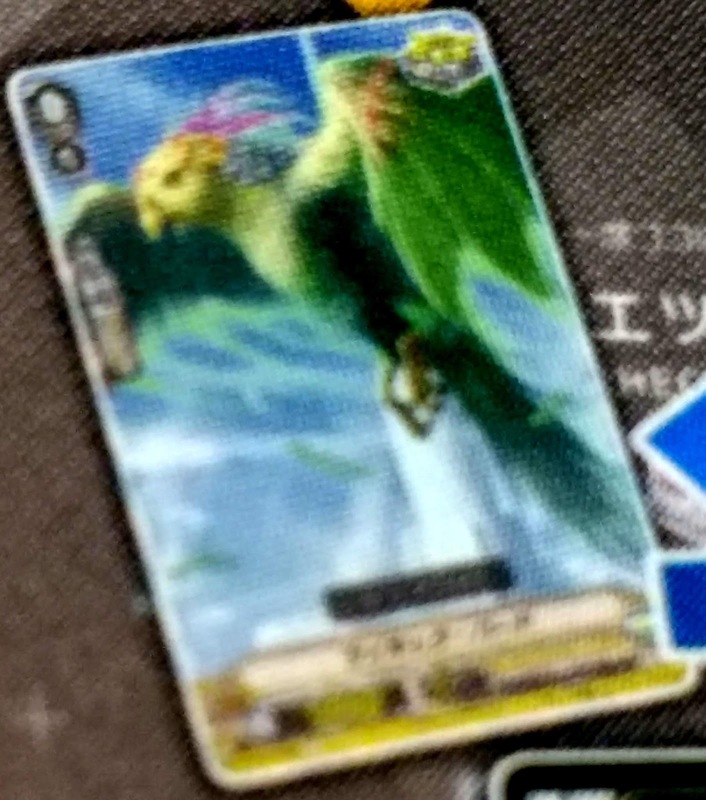 Keeping with this, the new Psychic Bird is a vanilla with 5k power. Miracle Kid is likewise a vanilla Draw, with just 5000 shield. 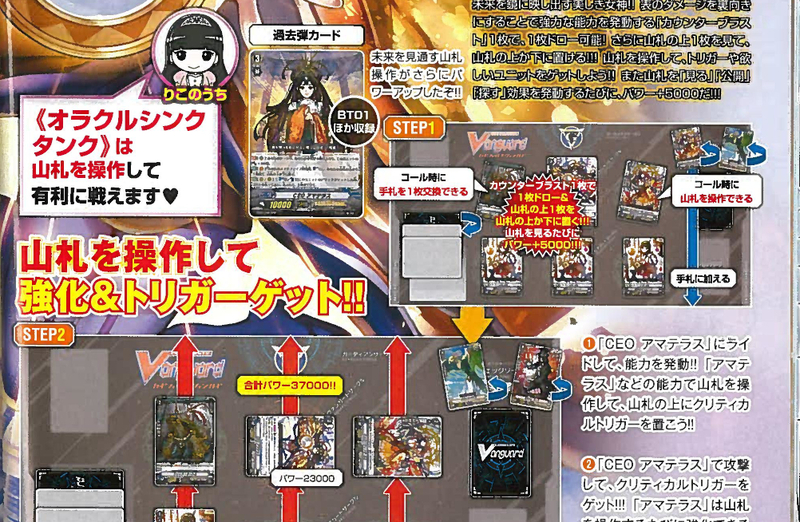 While it may be tempting to say these are only mock-ups and the final versions could have effects, it should be kept in mind that neither Royal Paladin nor Kagerо̄ have triggers in the set outside of Iseult and Barri, leaving the Trial Deck triggers as the only ones available. It seems the standard for Standard is vanilla grade 0s, and for every clan to have at least two types of Draw, and likely two types of Crit as well. This would rather neatly explain Nova Grappler's nine grade 0s in V-BT01, where Oracle Think Tank will at most have six. 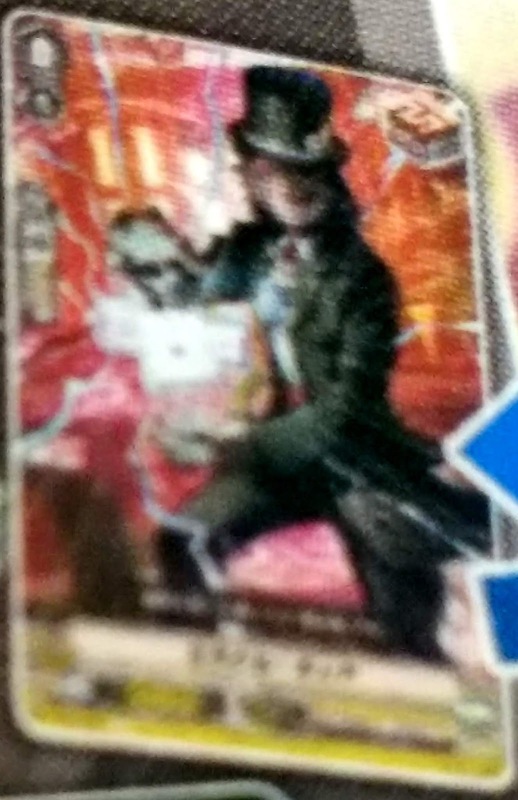 Nova needs the space to fit in another Draw Trigger, two Criticals, another Front, a Heal, and Cat Butler, alongside the previously confirmed Battleraizer, Tap the Hyper, and Turboraizer.